Chicago Spotlight, Inc. is shedding some light on United Center, the largest arena in the US, with help from Robert Juliat Cyrano followspots. Home of the NBA’s Chicago Bulls and the NFL’s Chicago Blackhawks and a venue for top musical artists, the United Center has hosted over 40 million guests since it opened in 1994. 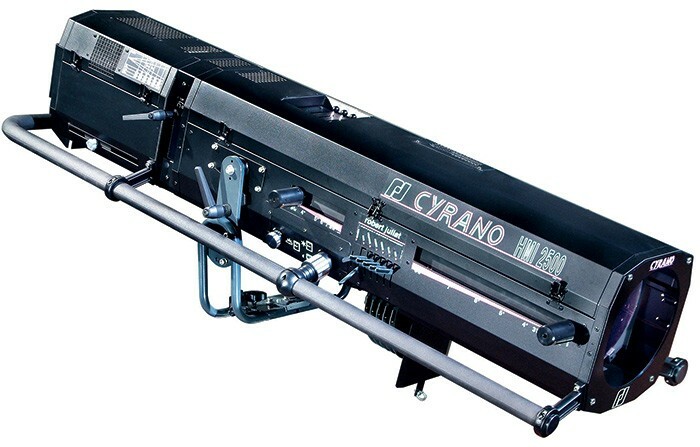 Cyrano is a compact and efficient 2500 Watt HMI followspot with a high-performance quartz condenser optical system. It features a 100% closing iris; 100% closing dimmer; B-size gobo holder, variable frost, dichroic blue filter and six-way boomerang colour changer with removable filter frames. United Center organised a training session with 14 local stagehands to familiarise them with the new fixtures, the first of an expected dozen units. At United Center Rob Staverman is senior director of event operations and Bob Grmusich the house electrician.